On April 27th, 2019, from 10 a.m. to 2 p.m. the Springfield Police and the Drug Enforcement Administration (DEA) will give the public its 17th opportunity in nine years to prevent pill abuse and theft by ridding their homes of potentially dangerous expired, unused, and unwanted prescription drugs. Bring your pills for disposal to any of eight area collections sites: Springfield Justice Center, Eugene Police Department, Lane County Sheriff’s Office, Florence Police Department, Junction City Police Department, Coburg Police Department, Cottage Grove Police Department & Oakridge Police Department. (The DEA cannot accept liquids or needles or sharps, only pills or patches.) The service is free and anonymous, no questions asked. Last fall, Americans turned in 460 tons (over 900,000 pounds) of prescription drugs at almost 5,800 sites operated by the DEA and more than 4,800 of its state and local law enforcement partners. Overall, in its 16 previous Take Back events, DEA and its partners have taken in over 11 million pounds—more than 5,500 tons—of pills. On the listed date and time, Springfield Police arrested Maximiano Fonseca on the listed charges. Mr. Fonseca was arrested as a result of an investigation into the abuse of two children in 2012. Springfield Police have been seeking him since March of 2019, when they first became aware of the victims allegations. Mr. Fonseca was in Mexico at the time the police started their investigation, but had recently returned to Oregon. Investigators found him at a site in Eugene and arrested him without incident. The victims, both children at the time of the assaults, were known to Mr. Fonseca. Anyone with additional information should contact Springfield Police Detectives at 541-726-3721. On 04-16-19 at 1709 hrs Kohl’s Department Store employees notified SPD of a bomb threat at their store. A male suspect had walked into the store and said multiple times there was a bomb in the store. The male departed the store and was last seen walking north through the parking lot. The store decided to evacuate as a precaution. A bomb dog from the University of Oregon Police responded and checked the store but no explosive devices were located. The store was then re-opened. A description of the suspect was obtained and video surveillance was reviewed. Numerous Officers checked the area but the suspect was not immediately located. At 2159 hrs LTD called SPD after an alert bus driver spotted a person matching the suspect’s description near the entrance to Best Buy. SPD Officers arrived and located the male. He was identified as 34 year old Wesley Erwin Dockery. He was taken into custody and charged with Disorderly Conduct 1. Dockery was lodged at the Springfield Municipal Jail. Anyone with information regarding this case is asked to contact the Springfield Police Department at 541-726-3714. On the listed date and time a Springfield Municipal Jail Inmate set a fire in the Springfield Jail. Inmate, Richard Rierson, was lodged approximately 15 minutes earlier in a single cell by himself. It appears Rierson had discreeted a small lighter upon his person and removed his inmate clothing before setting the clothing on fire. A fire alarm notified Jail Staff of the fire in the cell which was diffused with a fire extinguisher within seconds. Springfield/Eugene Fire and Life Safety were dispatched to the Municipal Jail and Rierson was transported to Riverbend Hospital in Springfield for precautionary reasons. No one else was injured. Rierson’s original Municipal Court charges were for Disorderly Conduct, Harassment, and Criminal Mischief. After being treated at Riverbend Hospital he was lodged at the Lane County Jail for Arson, Recklessly Endangering, Criminal Mischief and Supplying Contraband. On the listed date and time Officers with the Springfield Police Department were involved in a short vehicle pursuit, which led to an officer involved shooting. Two Springfield Police Officers were transported to McKenzie Willamette Hospital where they were treated for non-life threatening injuries. The driver of the vehicle is deceased. The driver’s identity is being withheld pending next of kin notification. The Interagency Deadly Force Investigations Team (IDFIT) was activated and is investigating the incident. Additional information will be released at a later time by the Lane County District Attorney’s Office. Anyone with additional information is asked to call the Springfield Police Department at 541-726-3714. 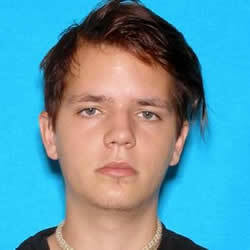 Arrested: Harris, Kevin Michael 22 of Eugene. On the listed date and time, Springfield Police responded to a residence in the 600 block of 54th Street. A resident at the location had discovered a 13 year old male unresponsive in a camp trailer parked at the residence. Eugene/Springfield Fire responded and pronounced the male deceased. Springfield Police and the State Medical Examiner launched an investigation into the death and determined illegal drug use was a probable factor in the death of the juvenile. Drugs were recovered at the scene; Police suspect the drug to be LSD. Three other individuals who had left the scene were arrested on the above listed charges and lodged at Lane County Youth Services. Springfield Police detectives continued their investigation into the source of the illegal drugs obtained by the juveniles. Police served a search warrant in Eugene later on in the day where they arrested a fourth juvenile and seized suspected LSD and Marijuana. That juvenile was also lodged at Lane County Youth Services on the listed charges. In the late evening hours of March 29 and into the morning of March 30, 2019 Springfield Police detectives arrested Kevin Michael Harris of Eugene in connection with this case. He was found to be in possession of a large amount of suspected LSD and arrested. The Drug Enforcement Agency was notified of the circumstances surrounding this entire case and a Federal Offense Hold was placed on Mr. Harris. He was lodged at the Lane County Jail. The investigation is continuing and additional arrests and charges may be forthcoming. 03/20/19 around 1352hrs, Springfield Police and Fire responded to the area of Pioneer Parkway East & Centennial for a crash. Preliminary investigation revealed that the pedestrian crossed the street within the marked crosswalk but against the controlled device advising not to cross. The vehicle struck the pedestrian at a lower speed and remained on scene. The driver did not have a valid license to operate a vehicle in Oregon. The pedestrian was transported to the hospital for injuries. Both the driver and pedestrian were cited for their violations. The crash is being investigated by the Department’s Major Accident Investigation Team. The investigation is ongoing. If additional persons witnessed the accident or have any additional information they are asked to call the Springfield Police Department at 541-726-3714. Location: 2900 Block of Main St.
A Springfield Police Officer attempted to stop a black 1990 Chevrolet pickup for traffic violations in the area of S. 42nd St. and Main St. The vehicle failed to yield to the Officer, and continued south on S. 42nd St. The driver, later identified as Miguel Medina, led Officers on a relatively low speed pursuit through neighborhoods north of Jasper Rd. The pursuit continued west on Jasper Rd. and then north on S. 32nd St. An Officer was able to effectively deploy “stop sticks” in the 800 block of S. 32nd St., flattening the right side tires on the fleeing pickup truck. The driver continued north on S. 32nd St, and then west on Main St., finally stopping in the 2900 block of Main St. Miguel Medina exited the pickup truck and had a large fixed blade knife in a sheath on his belt. Miguel Medina was belligerent and refused to obey Officers commands. In order to safely take Miguel Medina into custody an Officer used a “less than lethal bean bag gun,” striking him with two bean bag rounds, and gaining his compliance so he could be safely handcuffed. Miguel Medina received a medical evaluation at an area hospital and was then lodged at the Lane County Jail for the charge of Elude by Vehicle. The Springfield Police Department made 32 DUII arrests during the month of February, 2019. One of the DUII arrests was made during high visibility enforcement events made possible by overtime grant funding. Springfield Police Department’s increased participation in DUII High Visibility Enforcement activities are made possible by a DUII HVE overtime grant administered by Oregon Impact. Springfield police would like to remind celebrators, “Don’t miss the weekends celebration by sitting in a jail cell because you made the decision to get behind the wheel impaired.” Plan ahead and designate a driver, call a cab, or use other services such as Lift, Uber, or LTD.
Springfield police ask that if as a motorist, you see a suspected impaired driver, call 911 and monitor the car from a safe distance until police arrive. On 03-07-19 at 1341 hrs Sacred Heart Riverbend Hospital notified the Springfield Police Department of a male who came into the hospital lobby at 0630 hrs with a gun inside a gun case. The male was identified as Shawn Wusstig and said he was looking for a gun class. When told there were no gun classes at the hospital he departed. At 1503 hrs Springfield Police received several calls from residents in Cloverleaf Loop area. A male was seen trying to open a car door and was not wearing shoes. When confronted by a resident the male claimed to be looking for an apartment. Springfield Officers located the male was who was identified as Shawn Wusstig. He was arrested for possession of methamphetamine and lodged at the Lane County Jail. At 1536 hrs Springfield Police received a call from a Riverbend Hospital employee who found a rifle in a gun case in the south parking garage of the hospital. The hospital went on a lockdown as a precaution. The gun was retrieved and lodged at the Springfield Police Department. Follow up investigation revealed that Wusstig had left the gun in the parking garage. He was charged with Disorderly Conduct. On 03-07-19 at 1726 hrs. the Springfield Police and Eugene/ Springfield Fire Departments were dispatched to a vehicle vs pedestrian accident at Main Street and 62nd Place. Numerous callers reported a pedestrian had been hit by a vehicle. The victim was a 14 year old female who was hit by a 2003 Ford Explorer. The pedestrian was transported by ambulance to Riverbend Hospital. The investigation revealed the pedestrian attempted to cross from the north side of Main Street to the south side. There is no marked pedestrian crosswalk at the location, and no traffic control signals for Main Street traffic. The pedestrian tried to run across the traffic lanes. The driver of the vehicle attempted to brake and swerve to avoid the pedestrian but was unable to avoid doing so. The driver remained at the scene and was cooperative. There were no indications the driver was impaired. The pedestrian was determined not to have life threatening injuries. The investigation is being conducted by the Springfield Police Major Accident Investigation Team (MAIT). Anyone with information regarding this case is asked to contact the Springfield Police Department at 541-726-3714. On the listed date and time, Springfield Police arrested Mr. Pocza on the listed charges. This case stems from an incident that was reported to SPD on February 7th, 2019 which involved the death of an infant at an apartment complex. On that date, the infant was transported to Riverbend Hospital where he was pronounced deceased. The child was less than two years of age. During the subsequent investigation, SPD detectives interviewed two adults at the scene. One of the adults was the victim’s mother and the other Mr. Pocza, who is not related to the victim. Mr. Pocza was responsible for watching the child at the time of his death. On this date, detectives received further information that led to the arrest of Mr. Pocza on the charge of manslaughter in the first degree. Pocza will be lodged at the Lane County Jail. Police are not releasing the cause of death at this time as the investigation is continuing. NARRATIVE OF INCIDENT: On 02-23-19 Springfield Police received numerous calls regarding a Snap Chat message that several Briggs Middle Students had received. The message was a picture of two handguns with the caption “Don’t come to school Monday.” The investigation revealed that the person who posted the message was a 14 year old Briggs Middle School Student. He claimed no intent to shoot up the school, and had not intended to post the message in a public format. He subsequently sent another Snap Chat message advising people of the mistake and apologizing. The two handguns depicted in the photo turned out to be realistic looking BB guns. The student was subsequently taken into custody for Disorderly Conduct in the first degree and transported to the John Serbu Juvenile Detention Facility in Eugene. On the listed date and time, Springfield Police arrested Mr. Rosales on the listed charges. SPD was made aware of the abuse allegations early this week. The subsequent investigation led to the arrest of Mr. Rosales at a residence in Eugene last night at 2030 hours. The victim in this case is known to Mr. Rosales but not related and is under the age of 7. The investigation is ongoing. Further charges could ensue. Anyone with additional information should contact Springfield Police Detectives at 541-726-3721. 02/19/19 around 1546hrs, Springfield Police and Fire responded to the area of 28th and ‘R’ Street for a crash. Preliminary investigation revealed that the juvenile entered the roadway not in a marked crosswalk area and was struck by a vehicle. Witnesses advised the involved vehicle could not have avoided the crash. The driver of the vehicle is cooperative and drugs/alcohol does not appear to be a factor. The juvenile pedestrian is being treated at the local hospital for non-life-threatening injuries and is with family. The Oregon Department of Transportation reports that in 2016 alone, 28 occupants of passenger vehicles were killed in crashes in Lane County. With the assistance of funding from the USDOT National Highway Traffic Safety Administration, the Springfield Police Department will have additional officers on duty in an effort to reduce injuries and fatalities related to improperly restrained and unrestrained drivers. Authorities would like to remind you to please drive safe and sober. Contact the Springfield Police Department Traffic Team at 541-726-3714. Springfield, OR – Want to take a peek behind the scenes at the daily jobs of police officers and all the folks who work side-by-side with them? The Springfield Police Department will hold its 2019 Citizen Police Academy from April 3 through June 5, 2019. The no-cost, 30-hour training program, which consists of classroom and “hands-on” instruction, is open to anyone age 18 or older. Preference will be given to Springfield residents and people doing business in Springfield. Deadline to submit an application is March 8. The Academy is designed to provide citizens with a better understanding of the nature of police work, and to give them an opportunity to interact with Springfield Police Department staff in a non-emergency setting. It’s also an opportunity to provide input on police policy, practice and procedure. The course is designed for citizens from all backgrounds and occupations. The classes cover officer selection and training, the job of the uniformed patrol officer, investigation skills, tactical operation, the canine unit, use of firearms, narcotics, communications, and crime scene evidence. Students tour police facilities, use police equipment and fire police department-issued weapons. Classes are held weekly on Wednesday evenings from 6:30 p.m. to 9:30 p.m., with the exception of a couple of the classes. To graduate, each student must attend at least eight of the ten classes. Anyone interested in completing an application can obtain one from the Springfield Police Department at 230 Fourth Street or at the police department’s web-site at http://www.springfield-or.gov/city/police-department. The application must be returned prior to March 8. All applicants will be notified regarding their acceptance to the academy by March 25. For more information, contact the Springfield Police Department, Christopher Solares at 541-726-3731 Monday through Friday, 8:30 a.m. to 5:00 p.m.
Springfield police are going public today with their CHETT Pet Emergency Vet Fund for the emergency veterinary treatment of injured domestic pets in Springfield. City of Springfield employees have contributed to a donation box for weeks to build an initial start-up donation to kick off the fund and now the fund has been established and the police department is ready to accept donations. Last week at the Springfield police sponsored regional K-9 Competition, the McKenzie Cascade Dog Fanciers group of Springfield made a surprise donation to the fund after learning of the developing program and wanting to be among the first to donate. The group presented a check in the amount of $10,000 to the Springfield police department CHETT Pet Emergency Vet Fund. Funds from the CHETT Pet Emergency Vet fund will be used by the Springfield police department to help meet the emergency veterinary treatment needs and costs of treatment for companion animal pets that are lost, found, abandoned or feral at the time of their injury in Springfield. The fund will help enable police and Springfield Emergency veterinary staff to create humane treatment decisions for pets injured within the City of Springfield. The CHETT Pet Emergency Vet Fund was conceived in memory of the late Chester Martin, the namesake behind the CHETT (Community Help Easing Troubled Times) Program. Chester Martin was a pet lover and had his own companion animal – Lucky, who was at his side when he died in 2016. Under the program, employees who identify a companion animal pet in need of emergency or critical veterinary treatment, they will notify the on-duty police watch commander, who will assess the proposed or contemplated treatment of the pet and consult with veterinary staff. On agreement the watch commander will use their City of Springfield purchasing card to address the immediate expense. Additional consideration will be given to any ongoing treatment costs as well as the amount of funds available within the fund at the time the request is made. Consideration will also be given to the likelihood of favorable outcomes. These considerations may include the age of the pet, the expected quality of life for the pet, and the temperament of the pet with respect to suitability for adoption once medically stable. The Watch Commander will then complete an invoice for the services rendered and reconcile the purchase to the CHETT Pet Emergency Vet Fund. Generally, individual applications of funds will not exceed $400 per incident. But supervisors may exceed this limit if circumstances indicate the exception. The Springfield Police Department is pleased to announce a way for you to view crime incidents in Springfield through CrimeReports.com, a crime mapping service. The map is updated daily to show the block location of incidents that have been reported to our agency. It does not include the exact address, sensitive crimes, traffic stops, information calls, welfare checks, outside agency assists, etc. The site is free to the public and user may keep up with reported crime in their area by signing up for email crime alerts. Other local jurisdictions reporting through this service include Eugene, Junction City, Cottage Grove, Lebanon, Albany, Corvallis, and Salem. CrimeReports.com is a web-based service and is not part of the City of Springfield or the Springfield Police Department. Springfield police, acting on the suggestion of a Springfield citizen and retired veteran of the United States Coast Guard have established a fund for citizens to contribute money to help ease troubled times for those in temporary need of assistance. The CHETT Program (Community Help Easing Troubled Times) is a funding stream consisting of monies donated by the community intended to provide resources to meet the short-term emergency needs of the most vulnerable in Springfield. Funds from the account are to be used for victims of crime, those displaced by crime or critical incident (including innocent family members of perpetrators), or people in the community with little hope or few options. Examples of uses could include, but are not limited to; meals, lodging, transportation, crime scene damage repair, and/or other immediate short term emergency assistance. The CHETT program is the result of a citizen inquiry from Chester (Chet, wife Carolyn) Martin, a retired U.S. Coast Guard veteran and Springfield resident, who contacted the Springfield police wanting to contribute funds to the Springfield Police Department to be used by officers to help VETS and others in need of temporary assistance in circumstances of crisis or critical need. Chet and Carolyn Martin made their initial $700 donation today at the Springfield Justice Center and encourage others to give what they can so police can provide short term assistance at times of critical need to those who may have little hope or few options. Officers are now encouraged to consider these funds as a benevolent resource to be used to assist those in critical or emergent temporary need. Officers/employees who identify a person in need of short-term emergency or critical assistance will notify the watch commander, who will assess the proposed or contemplated usage of funds and on approval will use their City of Springfield purchasing card to address the immediate expense. The expense will then be reconciled to the CHETT program fund. NARRATIVE OF INCIDENT: The Springfield Police Department is asking for the public’s assistance in locating Rocky Evan Redmon. Mr. Redmon is described as a white male 5’ 8” and approximately 140 pounds. He has brown hair and blue eyes. 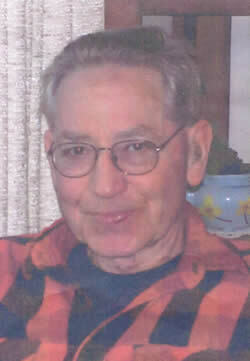 Mr. Redmon was reported missing on May 3rd, 2013 and has not been heard from since. He has no motor vehicle, but his bicycle is unaccounted for. Anyone with information in this case is urged to notify the Springfield Police Department. DATE/ TIME April 26, 2013. 2300 hrs. Missing Person Smith, Carl Lynn. 76 year old White Male. NARRATIVE OF INCIDENT: On the above listed date and time Carl Smith was reported missing from his residence on South 35th Street in Springfield. He was reported missing by his wife, who told police that Mr. Smith is suffering from the onset of dementia. Mr. Smith insisted on going for a walk and has not been seen since. He does not have access to a vehicle and has no other relatives in the area. Carl Lynn Smith is described as being a 76 year old white male, 5’10” 177 pounds with collar length gray hair and hazel eyes. He was last seen wearing a black coat, blue jeans, blue and gray tennis shoes and a camouflage baseball hat. According to his wife, Mr. Smith has a heart condition and takes regular medication for a thyroid issue. Anyone who has information on the possible whereabouts for Mr. Smith is encouraged to contact the Springfield Police Department.